Rebecca joined BayPAT in 2018 as Licensing Manager in the field of life sciences. She is involved in the entire business development and licensing process to commercialize inventions. Rebecca has a background in biochemistry, molecular biology and biophysics. 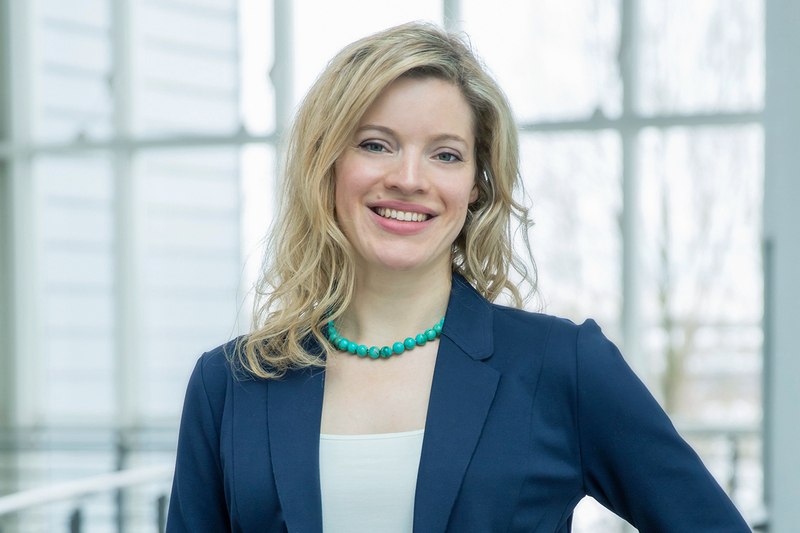 In 2006, she finished her Diploma in Biochemistry and Molecular Biology at the Eidgenössische Technische Hochschule (ETH) Zürich, and in 2010 she received her PhD degree from the ETH for her work in the group of Prof. Dr. Nenad Ban. During this period, she studied the molecular structure and function of a novel membrane insertion protein in complex with the translating ribosome. Subsequently, she won research fellowships of the Swiss National Science Foundation and the European Commission to work in the lab of Prof. Dr. Patrick Cramer at the LMU Munich and the Max Planck Institute for Biophysical Chemistry in Göttingen. There, she solved the molecular structures of the active expressome and transcribing RNA polymerase complexes by using cryo-electron microscopy and computational analysis.